Mobility, Mobility, Mobility. Yes, x3. People. We. Are. In. Trouble. 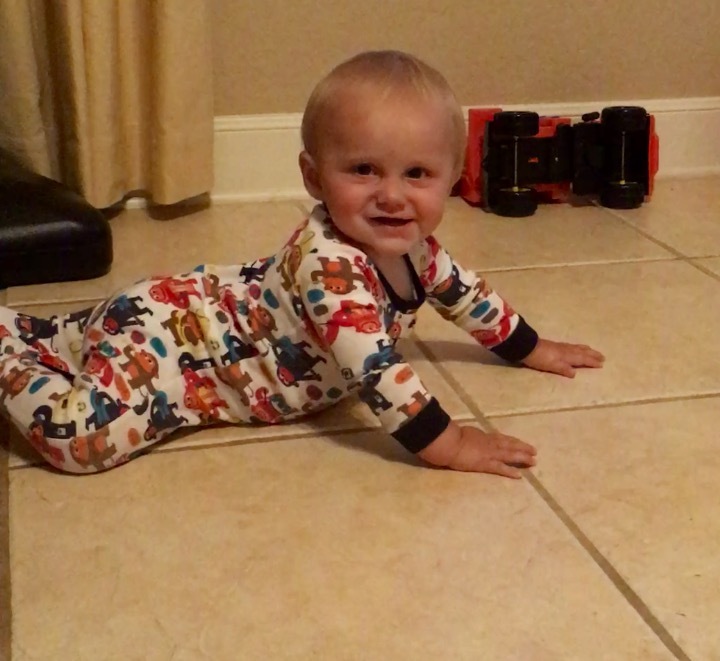 Last night, at the ripe age of almost 10 months, Ty finally put in the effort and “crawled.” AHHHH!!! They can go in three different directions at the same time now! I had almost forgotten to even post this, but was reminded to just now by Landri as she started screaming, “How did Ty get all the way over HERE?! ?” Apparently she had been distracted by her cartoon and missed Ty awkwardly slithering across the floor. Here’s the actual video of his first real crawl. Not very graceful or efficient, but it works. And hopefully it will wear him out! Gosh, though, it’s crazy how fast time flies. Landri had her own post for this (and Rex too!) years ago! Anyhow, wish us luck! It’s about to be extra wild around here!